Married to wife Cherrie. They have 4 children and 6 grand-children. Member of Christian Life Church. Has led an annual mission to Nicaragua for 20 years. We've been helping South Carolina & Georgia residents with their insurance needs for over 30 years. We can help you with your: Auto Insurance, Homeowner's Insurance, Rental Dwelling Insurance, Commercial Insurance, Motorcycle, Boat, or RV Insurance. We have convenient locations in Columbia, Lugoff, Sumter, Florence, Camden, Hephzibah GA. Call us today for a quote on your car and home insurance. We look forward to serving you! Understanding the coverage you buy is important, but the language of underwriting can be a little difficult for those who are new to it. That's why Clark Farley Insurance Agency Inc. focuses on explaining auto insurance coverage in a common sense way that members in Sumter appreciate. That way, it's easier to enjoy your vehicle with the assurance you understand what is covered in the event of an accident. Finding out more about our policy options is easy. Our offices can be reached at (803) 469-8011, and agents are happy to take set appointments for in-person consultations at our office located at 561 Bultman Dr. 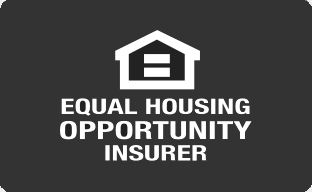 In order to have stable financial security measures in place, it is crucial that you invest in home insurance regardless of whether you own your house in Sumter outright or you still have payments to make on the mortgage. We at Clark Farley Insurance Agency Inc. are proud to offer Nationwide solutions designed to protect our members and their homes from weather hazards to crimes such as theft. Because your house is a place of love, life, and safety, Clark Farley and our other experienced agents are prepared to help you and your family members get back to your normal lives as soon as possible should an incident occur. By calling Clark Farley Insurance Agency Inc. at (803) 469-8011 today, you can become more educated about our available policies as well as discounts that are available. Our goal is to provide you with an insurance purchasing experience that is as stress-free as possible. Find out more by visiting us on 561 Bultman Dr or by giving us a call. At Clark Farley Insurance Agency Inc., we want to make customers aware of how easy and affordable life insurance is. We know many people in Sumter think they cannot afford to have a good policy that protects their financial interests. That is why we work with Nationwide to provide customers with the diverse coverage options they need to sleep peacefully at night. To better understand coverage options, we encourage you to contact Clark Farley at (803) 469-8011 to arrange a time to meet in office at 561 Bultman Dr,Sumter,SC,29150 to discuss your needs. For additional convenience, our agents are ready to help you go over coverage options over the phone. Maybe you're looking for targeted business coverage or maybe you're looking for wide-ranging policy protections as part of a new business continuity plan. Either way, Clark Farley Insurance Agency Inc. can help you protect past gains, while also positioning your company for future growth. Through Nationwide, our agents offer business insurance for Sumter companies that operate in a wide range of industries from food and beverage to building management to professional contractors. Product offerings include liability, property, and commercial auto insurance. For some companies, it's also crucial to get operating loss coverage to ensure money is coming in even if something forces their business to close shop for a time. Likewise, flexible billing options help you meet premium obligations regardless of how your company's budget is structured. It sounds complicated, but it doesn't have to be. In fact, to combine several products in a single policy, have one of the risk management experts at Clark Farley Insurance Agency Inc. help you build a business owner's policy with coverage that's personalized for your company. Call us at (803) 469-8011 to discuss your Sumter business insurance or to set up an appointment at the office located at 561 Bultman Dr.
Our agency team has been serving Columbia, Lugoff, Sumter, Florence, Camden, Hephzibah GA, and the surrounding communities with car insurance coverage since 1975. As a full-service insurance agency, it is our responsibility to find our members the right car insurance, home insurance, life insurance and business insurance coverage protection they need no matter what.